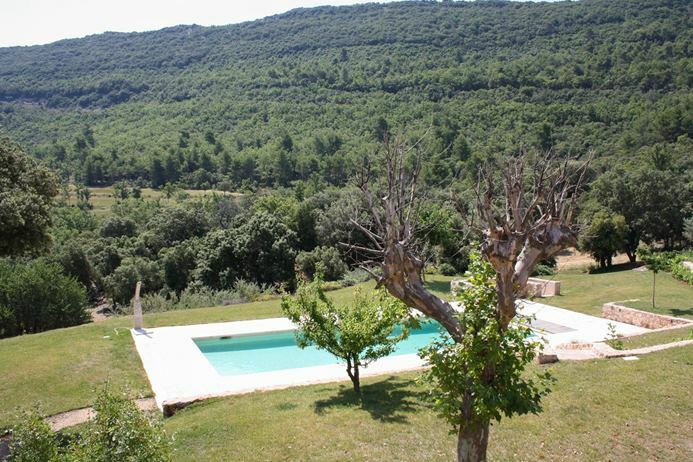 Wonderful and secluded hillside villa with helipad, spectacular views of surrounding countryside. 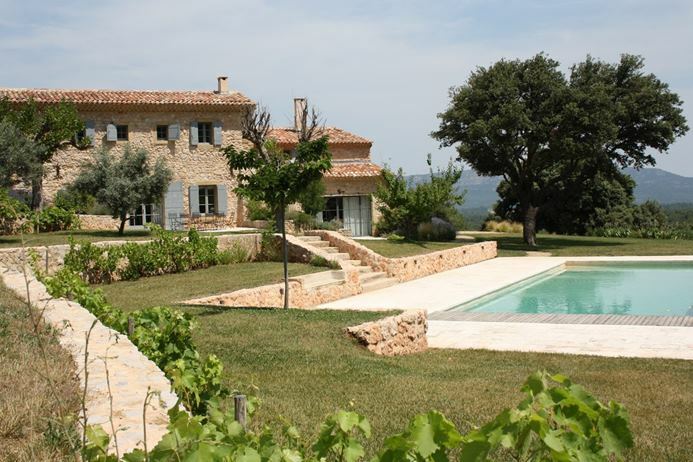 illa mas du Domaine, also known as YNF DOM, is a 10-bedroom villa in Provence, located 7 kilometers from the village of Jouques and more than 30 kilometers from the city of Aix-en-Provence. 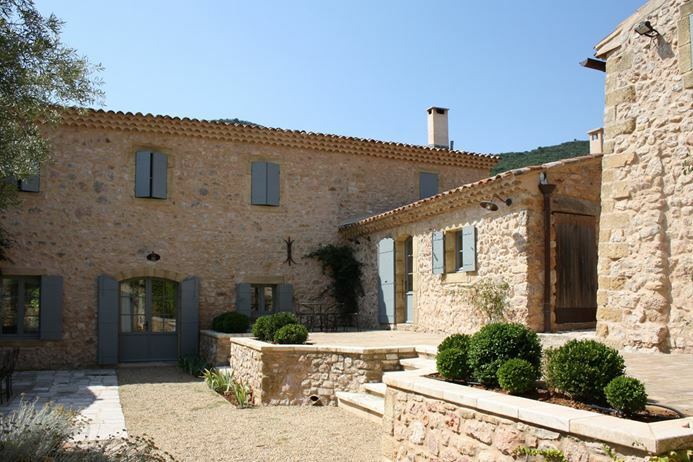 Situated on a hillside, Villa YNF DOM enjoys superb views of the surrounding countryside and Luberon hills. 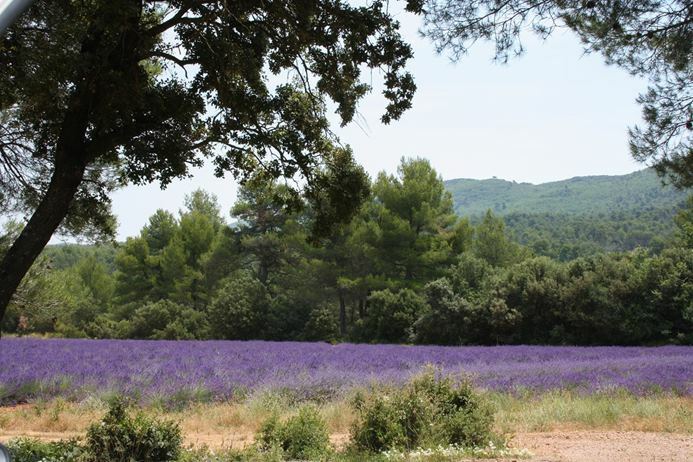 Surrounded by 250 hectares of private land, this villa can be accessed from a 3-kilometer road through woodland and fields or via a helicopter. A helipad is located on the property. 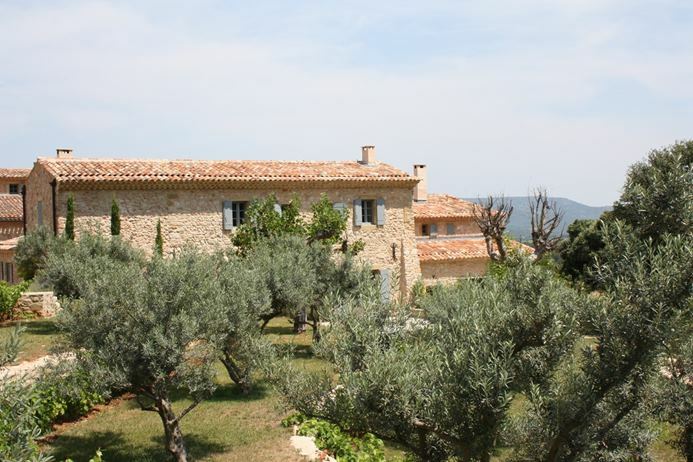 A well-maintained lawn and garden with olive trees, lavender fields, and herbs surround the house. The nearby large swimming pool can be heated upon request. 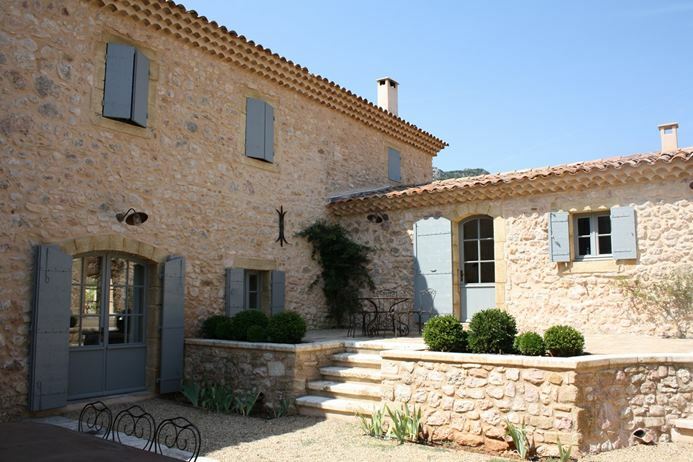 Built of local stone with grey and blue shutters, this beautifully restored estate consists of a main house and a dependence on the other side of a central courtyard. 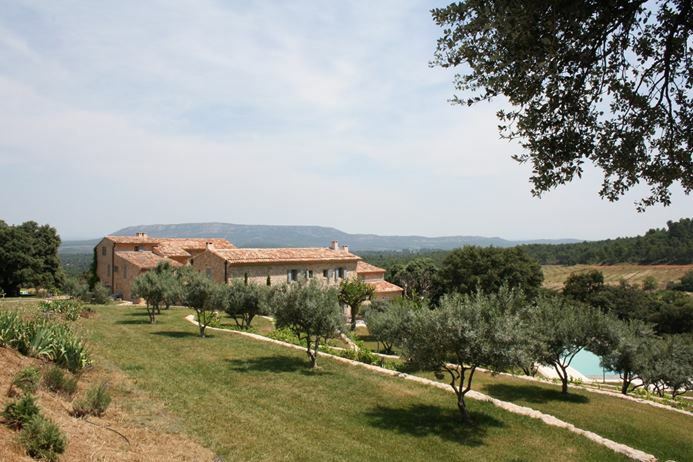 The villa offers more than 1,500 square meters of living space. The interiors are bright, spacious, and decorated in subtle shades of beige and grey with polished cement floors, white distressed ceiling beams, tadelakt bathrooms, and cream furnishings. 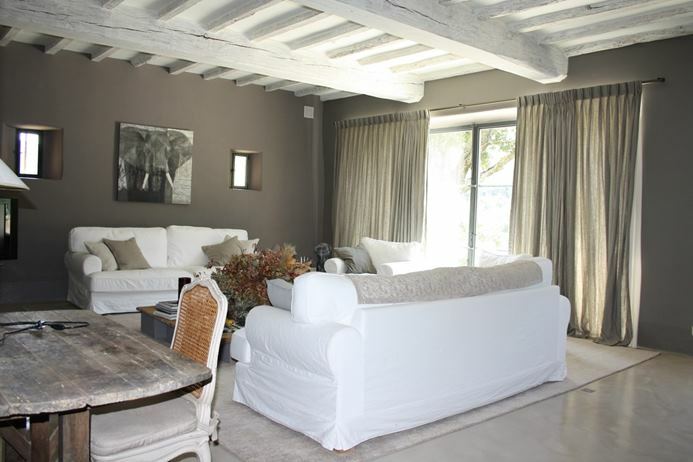 The very large living room has glass doors, which open to a furnished terrace overlooking the garden and pool. 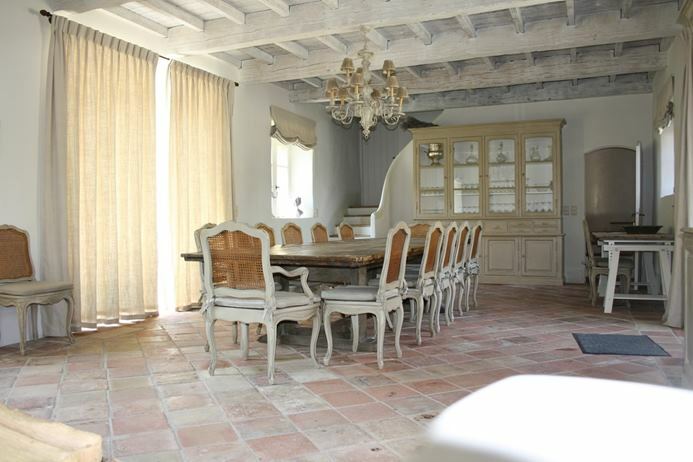 Four steps lead to the dining room with a fireplace and a large antique table, which seats 12 guests. The dining room opens to the terrace on one side and the courtyard on the other. Six steps ascend to the well-equipped kitchen with a breakfast table and doors to the courtyard. A wine cellar and guest bathroom complement this level. 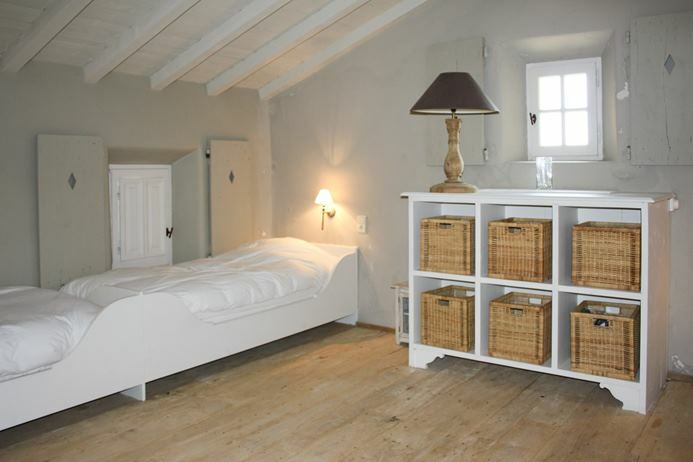 Villa YNF DOM accommodates up to 22 guests. Located upstairs are 4 bedrooms, each with an ensuite bathroom. 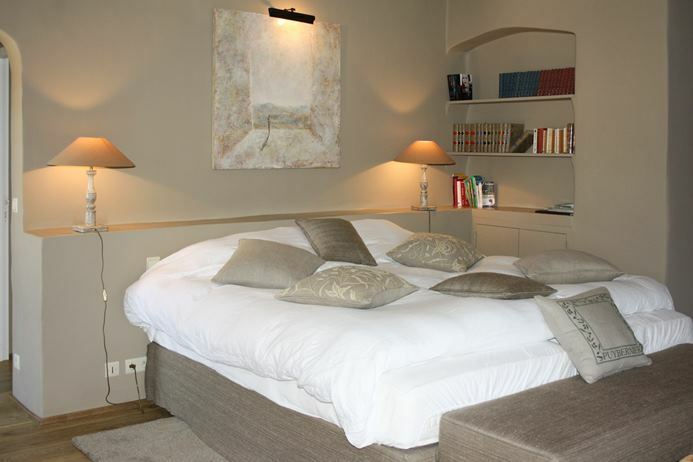 One bedroom has a king-size bed, while 2 bedrooms are each furnished with twin beds. 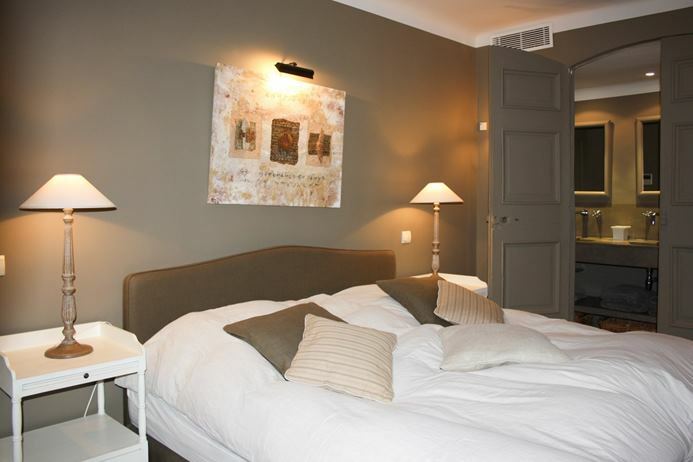 The fourth bedroom on this floor has twin beds or a double bed. 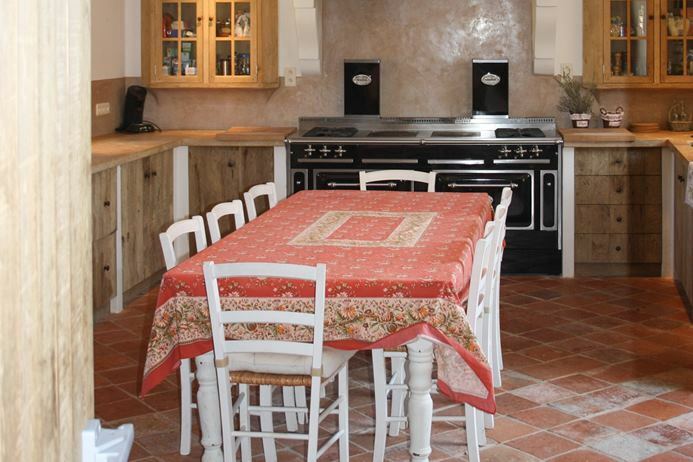 The guesthouse has a living room, dining area with a fireplace, and a well-equipped kitchen. Six bedrooms are located on the upper level. 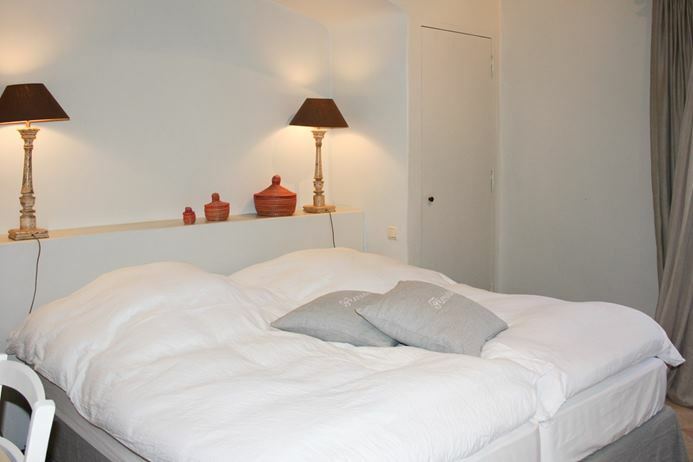 Three bedrooms are each furnished with a double bed or twin beds. One bedroom houses 4 single beds. 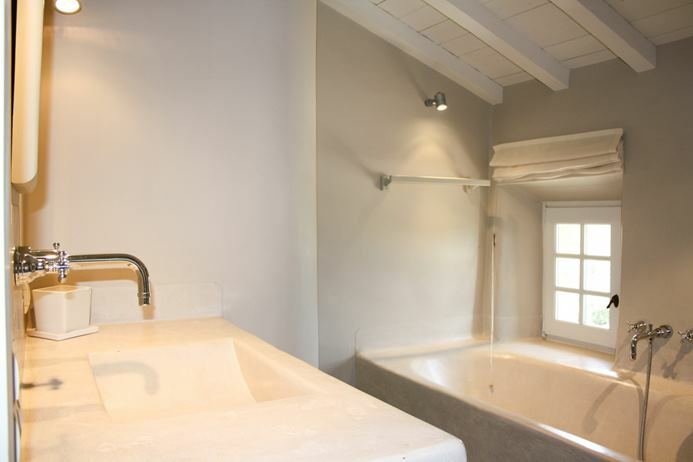 Four bedrooms have en suite bathrooms, while 2 bedrooms share a bathroom. This villa also comes with satellite TV, WiFi, under-floor heating, air- conditioning, a ping-pong table, and 2 garages for parking. 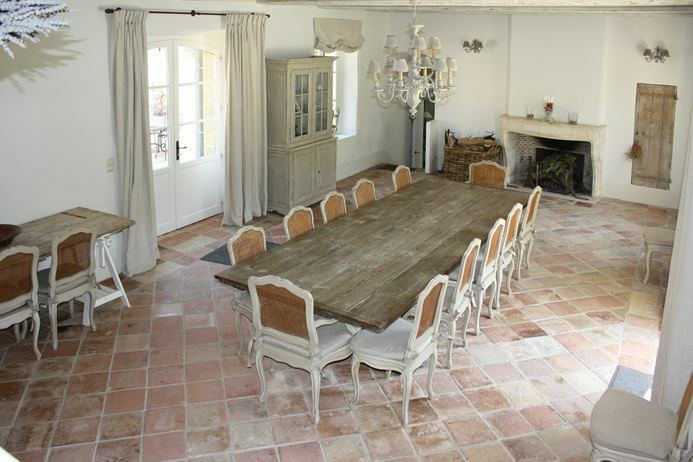 Villa mas du Domaine, or YNF DOM, has house cleaning services available during the week.